NEW YORK (AP) — Wells Fargo will pay $1 billion to federal regulators to settle charges tied to its mortgage and auto lending business, the latest chapter in a wide-ranging scandal at the banking giant. However, it appears that none of the $1 billion will go directly the victims of Wells Fargo's abuses. Wells will pay $500 million to the Office of the Comptroller of the Currency, its main national bank regulator, as well as a net $500 million to the Consumer Financial Protection Bureau. The action by the CFPB is notable because it is the first penalty imposed by the bureau under Mick Mulvaney, who President Trump appointed to take over the consumer watchdog agency in late November. The $500 million is also the largest penalty imposed by the CFPB in its history, and matches the largest fine ever handed out by the Comptroller of the Currency. The fine against Wells Fargo had been expected. The company disclosed last week that it was in discussions with federal authorities over a possible settlement related to its mortgage and auto lending businesses, and that the fine could be as much as $1 billion. "While we have more work to do, these orders affirm that we share the same priorities with our regulators and that we are committed to working with them as we deliver our commitments with focus, accountability, and transparency," said Wells Fargo Chief Executive Tim Sloan in a statement. The $500 million paid to the Comptroller of the Currency will be paid directly to the U.S. Treasury, according to the order. The $500 million paid to the CFPB will go into the CFPB's civil penalties fund, which is used to help consumers who might have been impacted in other cases. But zero dollars of either penalty is going directly to Wells Fargo's victims, and the bank has already been reimbursing customers in its auto and mortgage businesses for these abuses. "Fines and penalties against Wells Fargo Bank for their bad acts against their customers and others will not be dropped, as has incorrectly been reported, but will be pursued and, if anything, substantially increased. I will cut Regs but make penalties severe when caught cheating!," Trump wrote on Twitter back in December. 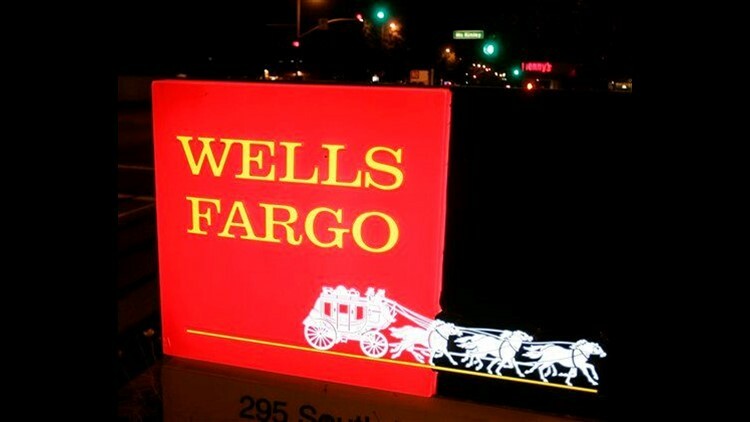 The abuses being addressed Friday are not tied directly to Wells Fargo's well-known sales practices scandal, where the bank admitted its employees opened as much as 3.5 million bank and credit card accounts without getting customers' authorization. But they do involve significant parts of the bank's businesses: auto lending and mortgages. In a separate case, Wells Fargo also admitted that thousands of customers had to pay unnecessary fees in order to lock in their interest rates on their home mortgages. Wells Fargo is the nation's largest mortgage lender. Wells Fargo has been under intense scrutiny by federal regulators for several months. The Federal Reserve took a historic action earlier this year by mandating that Wells Fargo could not grow larger than the $1.95 trillion in assets that it currency held and required the bank to replace several directors on its board. The Federal Reserve cited "widespread abuses" as its reason for taking such an action.